What About the Safety of Life Insurance Companies? Will the Insurance Company Actually Pay Your Family When the Time Comes? That’s a fair question. Companies go out of business. They go bankrupt. They merge. Sometimes, it seems, customers get forgotten. Actually, there are guarantees. Good ones, at that. But before we talk about why the company will pay, let’s talk about the two reasons why a life insurance company wouldn’t pay the death benefit. First, if you commit suicide during the first year or two of your policy (the contestability period varies, depending on your state), your beneficiary will receive nothing—except a refund of the premiums that were paid. That’s spelled out clearly in the policy. The company doesn’t want to be party to a scheme whereby your family gets a windfall if you decide to off yourself. Second, if you die from any cause during the contestability period, the insurance company is going to investigate. On the application, you signed a statement that you had disclosed all your known health issues. The company wants to discover if you knew something you “forgot” to tell them. “Cancer? Gosh, I guess I forgot.” That sort of thing. So if your beneficiary files a claim during that one (or two) year period, there’s going to be an investigation, even if there wasn’t one when you applied. If the company can prove you knew (and they will look at your medical records for this), your beneficiary only gets a refund. But if they can’t prove you knew about it, they’ll pay. Occasionally, things like this end up in court. But that’s not usually the case. After the contestability period has passed, the insurance company can no longer go back and claim you withheld information on the application. Okay. Now, let’s talk about why the insurance company will pay. The financial strength of life insurance companies is almost beyond comprehension. Many life insurance companies were started more than a century ago—and they’re still going strong today. You want a number that will make your head spin? The combined assets of the five largest life insurance companies in the United States total nearly two trillion dollars—an average of nearly $400 billion each. Beyond your insurance company’s sheer financial strength, you have four safety nets to help guarantee the company will be able to pay its claims. This is why life insurance is a safe place to put your money. Every life insurance company is audited. You know the company is operated prudently. The State Insurance Commissioner’s Office can run a company in the event it gets in financial trouble. You can be confident your policy will stay in force. Every life insurance company is audited by several independent ratings companies. You should choose to deal with only the best of the best. Additional protections are available, which vary by state. The life insurance industry is regulated. But not just sort of regulated. It is highly regulated. By the federal government. And by all 50 states, the District of Columbia, and U.S. Territories. There are few—if any—industries that are more highly regulated than the life insurance industry in the United States of America. Regulations require, among other things, that insurance companies must have adequate reserves to pay their claims. State auditors regularly review the books. 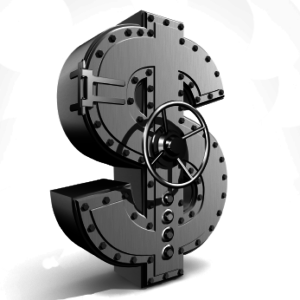 The insurance companies may not invest their reserves in any speculative investments. Even stocks are considered speculative, and they’re off-limits for reserves. And reserves can only be used to satisfy claims. They can’t be used to pay salaries or other operating expenses. One of the primary duties of state insurance departments is protecting policyholders from the risk of a company in financial distress. If a life insurance company gets into financial trouble, the insurance commissioner in the company’s home state starts a process called rehabilitation to help the company regain its financial footing. Also, there’s a nationwide organization called the National Organization of Life and Health Insurance Guaranty Associations (NOLHGA). It’s made up of the life and health insurance guaranty associations of all 50 states and the District of Columbia. Through NOLHGA, the associations voluntarily work together to provide continued protection for policyholders in the event of a multi-state insurance insolvency. What About AIG? They Were a Huge Insurance Company and They Went Belly Up! The year was 2008. The nation and the world were on the brink of a financial meltdown. AIG, a huge international financial holding company, was toppling, threatening to unleash a domino fiasco on virtually all mankind. 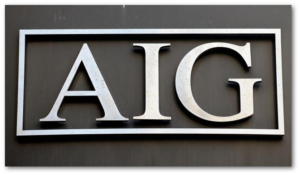 A statement released by the National Association of Insurance Commissioners—the top insurance regulators from every state in the union, from the District of Columbia, and from U.S. Territories—explained what AIG actually was. And it was a lot more than just an insurance company. Simply put, the parent company was acting irresponsibly, like a child, behaving recklessly with its money. At the same time, its children—the insurance companies it owned—were following the rules, maintaining their reserves, and acting very responsibly. AIG (the parent) asked the courts for permission to “borrow” its children’s insurance company reserves to pay the piper for its irresponsible money management (or lack of management). The courts said “No. Thou shalt not squander thy children’s money.” Or words to that effect. The insurance company portions of AIG were fine because they were insurance companies—regulated by all the states. The “parents” weren’t subject to that kind of regulation. The full AIG story is really a great object lesson: If you’re looking for a safe, protected place to put your money, it’s hard to beat a well-run life insurance company. And remember, the independent ratings agencies we discussed earlier in this article make it easy to pick the well-run companies and avoid the others: Look for companies with a rating of A or above (such as A+). If you know your alphabet, you’ll be able to do fine. Well, if it’s guaranteed, and if it’s so straightforward, why do some people say life insurance is a scam? And if it is a scam, why doesn’t the government shut it down? That’s a valid question, and it deserves a careful answer. First, people are suspicious of guarantees. They have a right to be. The word “guarantee” has been used and abused to the point that many people respond with outright hostility when they hear “guarantee.” After all, they bought a broom that was “guaranteed for life,” then they found out it was only guaranteed for the life of the broom. They bought a car, then they found out the warranty has more loopholes than a New York city street has potholes. Even our kids are in on the scam. “Mom, if you’ll let me have a sleepover at Pat’s, I guarantee we’ll do our homework before we watch TV.” Right. Life insurance really is—and always has been—a promise people kept. 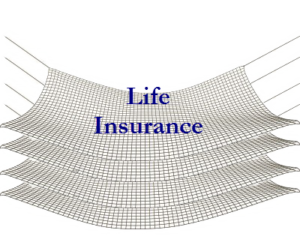 Life insurance is an industry that can trace its roots back to the days of ancient Rome. And it’s an industry with a proud tradition of promises kept. State regulators wouldn’t have it any other way. Life insurance guarantees are made in writing. And they’re enforced by law. Here are just a few stories from the hundreds of thousands of individuals who found answers, financial relief, and life-changing results, thanks to adopting the Bank On Yourself strategy. For centuries, life insurance policies have provided vital assistance to families and individuals. To find out how a properly-designed life insurance policy can benefit you and your family, request a free, no-obligation Analysis from a Bank On Yourself Authorized Advisor.